The phone packs quite a punch and is available at $650 outright or $200 on a plan. Not a bad deal. Are you interested in one? That fingerprint sensor in the side power is definitely interesting. I'm more of an LG fan, with the V10 having it on the back... but that's just me. Noticed they really didn't hype up the IP rating this time around. October 20, 2015, MONTRÉAL & TORONTO – Sony Mobile Communications (“Sony Mobile”) and Bell today announced the exclusive launch of the next-generation Sony Xperia Z5 smartphone on Canada’s largest 4G LTE network. Featuring advanced Sony camera technology and powerful entertainment integration, the Xperia Z5 will be available across Canada starting October 29. Featuring the next-generation 23MP Exmor RSTM mobile sensor, 5x Clear Image Zoom and Sony’s image processing, the Xperia Z5 offers Sony’s best smartphone camera experience delivering clear and vivid images every time. Plus, customers will never miss a moment with Sony’s ultra fast hybrid autofocus – at 0.03[i] seconds it is faster than the blink of a human eye. With Xperia Z5 customers can also record video more smoothly in bumpy situations thanks to improvements in Sony’s SteadyShotTM technology with Intelligent Active Mode. Designed at Sony’s leading Creative Center studios, Xperia Z5 is built with a slim continuous plate form, a metal frame and frosted glass back for a striking look and feel. New features include a cap-less USB for easy charging and an integrated fingerprint sensor power button makes the device personal, protected and quickly accessible. 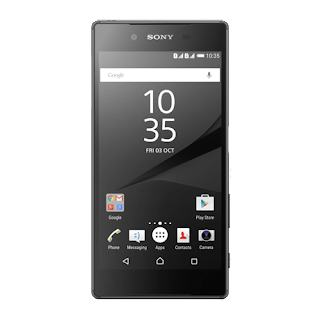 Xperia Z5 is powered by the Qualcomm® Snapdragon™ 810, a 64 bit octa-core processor, and ultra-fast 4G LTE speeds. And powerful smartphones demand smart power management – Xperia Z5 is equipped with up to two-days[ii] of battery life and power management functionality like Battery STAMINA mode that puts customers in control of battery life. Sony’s expertise in audio technologies enables customers experience sound with incredible clarity on Xperia Z5. High-Res Audio delivers accurate sound recording at a near studio quality and DSEE HXTM technology enhances MP3, AAC or music streaming tracks to near High-Res Audio quality. Customers can also keep playing their favourite PlayStation®4 (PS4™) games wherever they are in the home with PS4 Remote Play[iii]. Simply connect the Xperia Z5 to a PS4 via home Wi-Fi and use the DUALSHOCK®4 Wireless Controller and never miss a minute of the action. The Sony Xperia Z5 in white and graphite black will be available exclusively from Bell Mobility on October 29, 2015. To learn more about Xperia Z5, please visit Bell.ca/XperiaZ5and http://www.sonymobile.com/ca-en/products/phones/xperia-z5/.